Mr. Dikko received his first Degree from Ahmadu Bello University, Zaria where he obtained a Bachelor of Science degree in Economics. He is also a Graduate of the Harvard Business School Leadership Programme and Queen Mary College, University of London where he obtained a Bachelor of Science degree in Economics. Mr Dikko started his career at the Kaduna State Radio as Producer of News and Current Affairs, from where he moved to the Nigerian Standard Newspaper as Sub-Editor. He lectured briefly at College of Advanced Studies, Zaria before joining Habib Nigeria Bank. 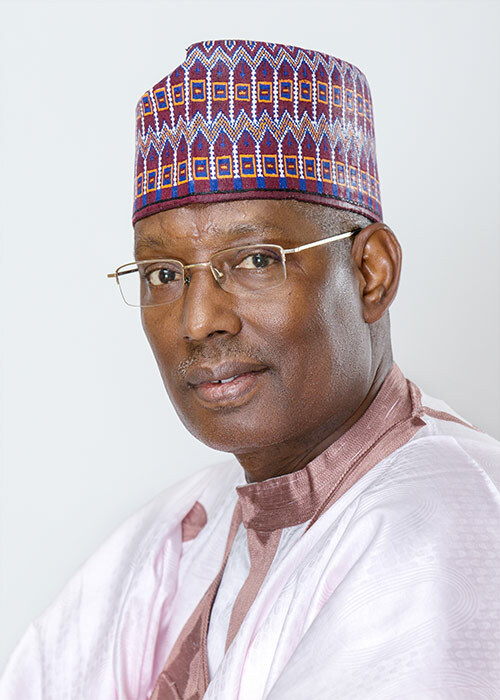 He joined Intercity Bank PLC in 1998 as General Manager and served as its Managing Director/Chief Executive Officer from 2001 to 2005. He is a Non-Executive Director at Mutual Benefits Assurance Plc and has also served on the Board of Enterprise Bank Limited. He was Executive Director, Commercial Banking at Unity Bank Plc and later Chairman of the Board. He is the Chairman of the Infrastructure Bank Plc.